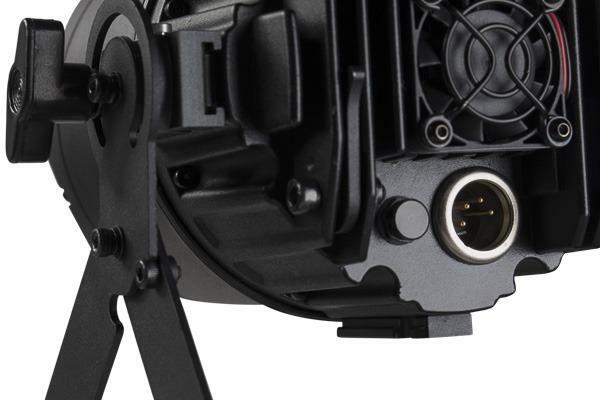 RA3000PROFILE combines solid-state technology in every single detail and it has been specifically engineered to be not only a high-quality bright light but also silent. RA3000PROFILE is able to provide a real 25’000 lumen output with unprecedented beam evenness. The 6000K LED engine has been custom designed to make the RA3000PROFILE hit a CRI of 90, TLCI of 92, high R9 and TM30 making all skin tones and colours come to life on stage or in front of a camera. The RA3000PROFILE’s CMY system delivers beautiful pastels, stunning saturated colours, powerful primaries, one colour wheel provides split colours, and linear CTO allows the RA3000PROFILE to blend in with traditional sources. Packed with a full feature set, composed of a gobo wheel, animation wheel, iris, prism and dual linear frost. High-precision 4 blade shuttering system can be overlaid to provide endless combinations. The 19 element optics of the RA3000PROFILE are precision engineered for a perfect zoom, ideal edges and maximum efficiency. The RA3000PROFILE is silent, bright, flexible and precise. 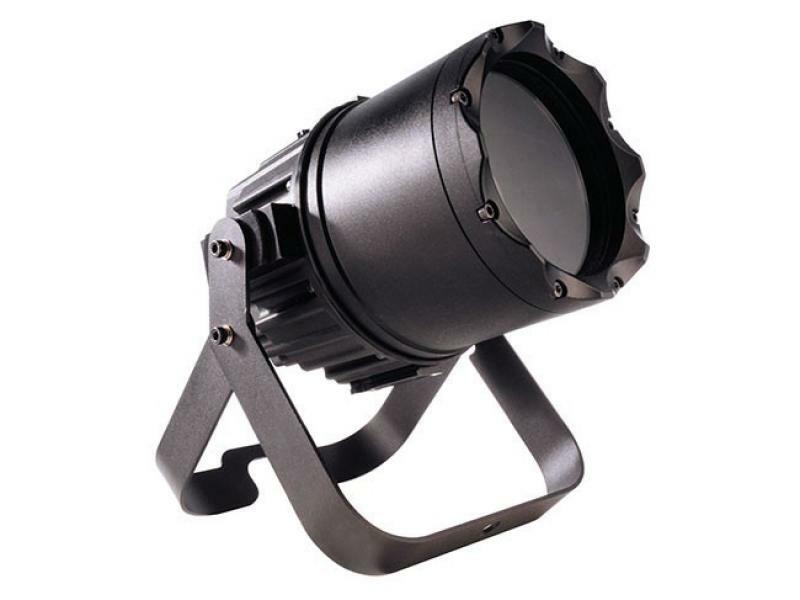 ARIA700 is a 400W theatrical LED light designed to bring refinement and silence to the stage. Featuring a custom RGBW engine which delivers an extensive colour palette and an optical system designed to allow the layering of effects. The ARIA700 puts the theatre into LED. AIR5FAN is a pixel-FX moving head, able to control the spread of its pixels through the motorised lens system, passing from a sharp linear beam effect to a multi-ray effect. Powered by 5x40W RGBW/FC LEDs, with a 2° beam each, delivering stunning brightness for large setups and featuring infinite rotation over pan and tilt. Last but not least, AIR5FAN allows for the mounting of a mirror on its housing allowing for an added effect as moving projecting surface bouncing beams from other light sources. STARK1000 is a new generation, high output, LED wash light designed to bring the workhorse LED wash light up-to-date. Featuring 19 of Osrams new 40W RGBW Ostar LEDs it delivers massive output with a huge colour range and an extensive toolkit of effects. JETSPOT2 is an LED spot luminaire designed to deliver a stunning light level for its size and price. Ideal both for installation and for rental, the JETBEAM2 focusses on maximising the light output from its LED source to deliver a crisp, even beam from a compact size. JETSPOT1 is an extremely compact LED spotlight designed to deliver a bright, even beam from the smallest footprint possible. Ideal where space is an issue, the JETSPOT1 simply offers the best value for money in its segment with a light output far exceeding expectations. All packaged in a compact size and offered at an affordable price. CRYSTAL is a LED Spot moving that can replace traditional discharge lamp fixture. It's equipped with a bright white 100W LED source which allows a superior light output and keep compact sizes and lightweight. CRYSTAL is the ideal tool for all rental and system integration companies who may handle a compact fixture with unprecedented performance and efficiency, reducing the management costs in terms of consumption, logistics, stocking and lamp replacement. 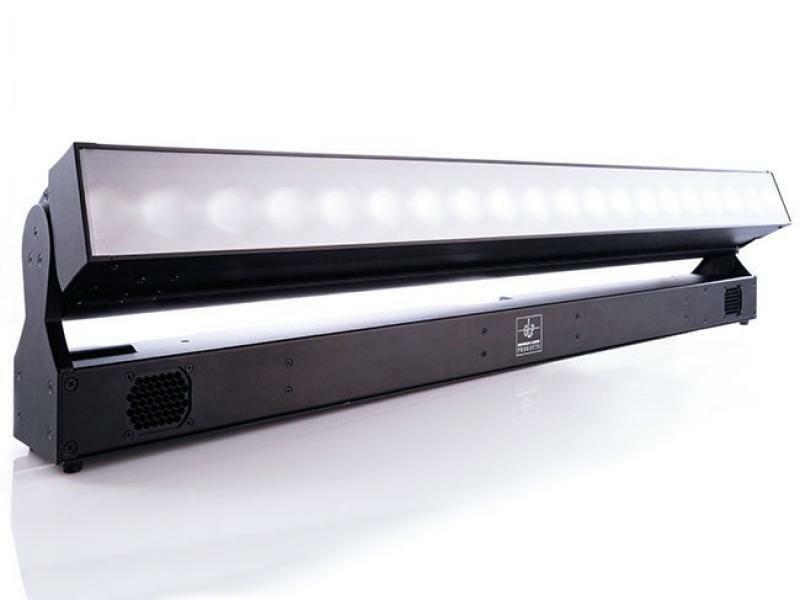 JETBEAM2 is a LED beam luminaire designed to be truly comparable to a discharge source. Ideal both for installation and rental, the JETBEAM2 focusses on maximising the light output from its LED source all the way throughout the glass optical system delivering a cutting-edge beam effect even on the brightest stage. Ultra-efficient 100W white LED with glass optics, delivering an incredibly bright and sharp 2° beam. Professional grade product at an affordable price, with low cost of ownership. 14 colours, 18 gobos and 8 facet prism for a huge range of effect options. The GT-1 FL from GLP is a true hybrid fixture, working as both a Spot and a Beam fixture with highest levels of performance. Using a high powered 470 Watt discharge lamp, its high quality optical system produces a light beam that features an enormous 22:1 ratio zoom range from 3.5° to 56,7°. When in spot mode, the GT-1 FL offers a wide range of effects, including CMY color mixing, eight rotating gobos, 14 fixed pattern gobos, additional beam reduction gobos, and an interchangeable animation wheel. But it doesn’t stop there, the GT-1 also features three different rotating prisms, a fixed color wheel with CTO/CTB filters, and a frost for softening the beam. When in beam mode, the GT-1 FL produces an astonishing highly parallel beam of light at 2.5° through its large 145mm diameter front lens, that remains bright and consistent over long distances. 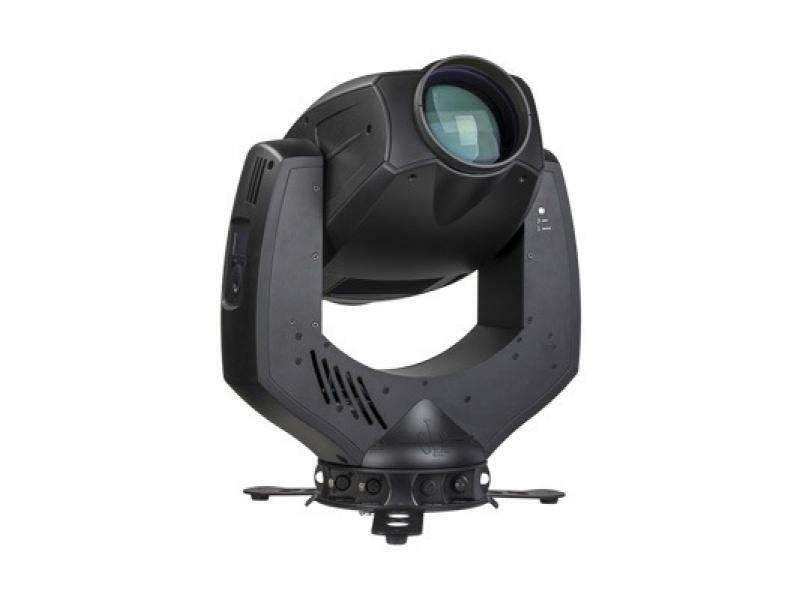 The GLP GT-1 FL features our unique baseless design, wireless DMX control (optional), full 16 bit pan and tilt movement, full range dimming and shuttering capability, an in built battery for fixture setup, an auto sensing power supply and a low weight of just 25kg, in all giving a vastly versatile fixture for a wide range of applications. 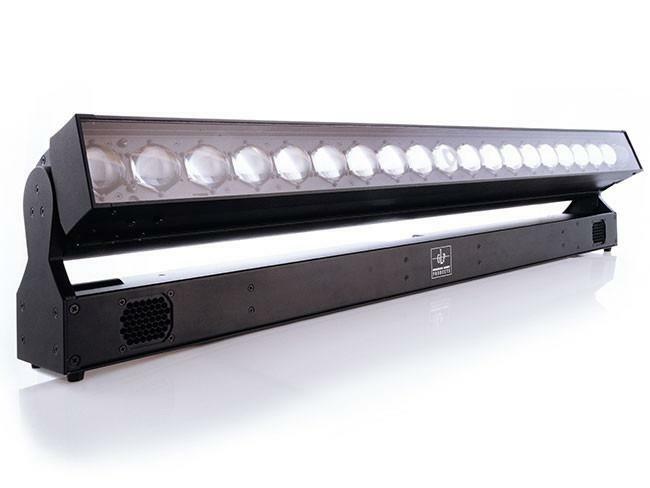 The impression X4 Bar 20 is a high performance batten that incorporate 15 Watt RGBW LEDs packed tightly to give a full line of light. The X4 Bar 20 uses 20 LEDs. High quality optics ensure a smooth, homogenized output across the batten through a broad pallet of pastel and saturated colors, complimented by GLP’s exceptional dimming which ensures that there is no color shift, just smooth even fades. DMX control offers full pixel mapping capabilities, whilst both units feature a 7:1 zoom ranging from 7 to 50 degrees, giving effects from a narrow angle light curtain to a wide angle washlight. The X4 Bar also features a motorized tilt, for fast refocussing or to be used to add more dynamics to the output beam. Multiple X4 Bar units can be aligned, and maintain consistent pixel spacing between adjacent units. The incredible light output of 55 high power RGBW LEDs (each rated at 15W) coupled with the highly efficient 7 - 50° zoom lense make the impression X4 XL unique and unmatched in the lighting market. The optics, originally from the approved impression X4, gives a well defined beam, complete with hard edge in the lower zoom range whilst remaining absolutely homogenous and soft edged at wider angles. Another highlight is the stylish housing with a baseless design. RGBW color mixing, variable CTO and a finely tuned dimming curve are standard in the impression X4 XL. The impression X4 XL features individually controllable LEDs allowing a range of different patterns to be created and displayed on the front lenses, including arrows, numbers, letters and much more, either from stock patterns or through user created patterns. The GLP X4 atom has been designed from the ground up to be as versatile a light as possible in a number of different ways. With its small body, designed to fit subtly into the tightest spaces yet give big coverage, the X4 atom is a new everyday fixture for static sources. From television and film, to corporate events, set lighting and special events. 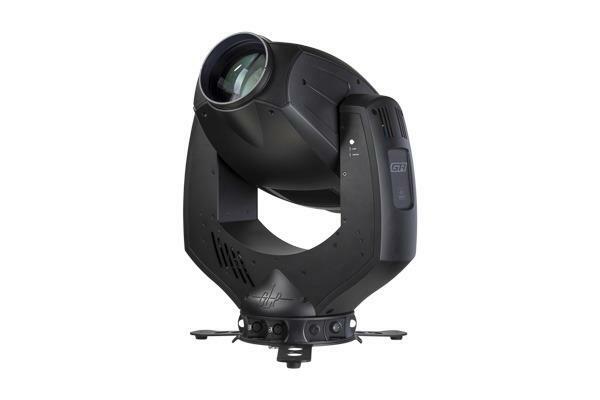 From concert touring stages and truss systems to architectural elements, the X4 atom has a use everywhere. The X4 atom is fitted with the same high output quad color LED source that we use across the X4 range, giving it a bright, full spectrum output from its compact size. 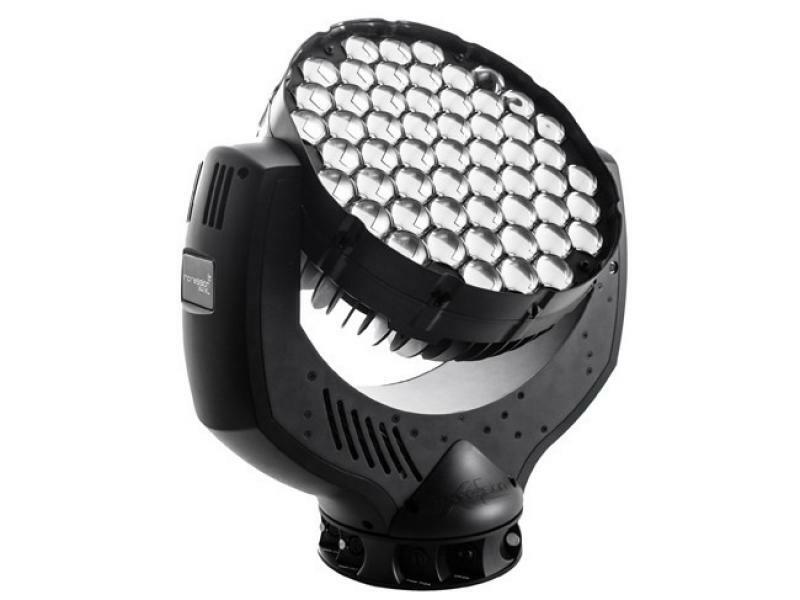 But the X4 atoms small size houses a lot more, starting with a 9 to 1 zoom ratio that goes from a wide 34° wash down to a tight 3.5° beam for pinpoint accuracy and great mid-air effects.Something which no other fixture offers and all the while maintaining a clean output and even distribution of color and intensity. But it doesn’t stop there. As versatility is the key, we made the housing IP 65 rated allowing it to be used on events and shows all year round, indoors or out. And for times when one X4 atom just isn’t enough, we’ve created a clever and fast interlock system that allows fixtures to easily be coupled together. The standard hanging yoke is easily removed and you can quickly assemble pairs, quads, lines and grids of fixtures in any configuration that you need – and still keep individual control of each atom head creating stunning displays. The X4 atom runs from an external power supply that feeds each fixture via an industry standard 4 pin XLR color changer cable, tapping into existing infrastructure and not trying to reinvent things again and reducing the overall environmental impact of the atom.